The Hotel was shut down to the public June 22-24th so we could visit with family....and what a family gathering we had. Our first intention when we purchased the hotel was that it would be a place for familyto stay during holidays, and it was finally used for that purpose. Everyone was relaxed, and the cousins from the Russell side all stayed at the Hotel so the talking went on late into the night. It reminded me of the days when they all were relegated to Mom's basement at Christmas. Another time we will talk about the wild stories that came from that basement. We missed Jeremy and his family as well as Luke, but trust they can join us next year. Maurice's children were not able to come in from Missouri and Huntsville, but they sent emails and good wishes. Perhaps next year they can be here as well. We had some sad moments as we reflected on our loss of Don, but his spirit was there amongst us. This time, however, I am going to award the Outstanding Culinary Award to Ron Cox for his beans and brilliant wit when sharing a recipe. You have got to try these. In a large cast-iron dutch oven brown hamburger and bacon. Add onion and cook until it starts to become translucent. Pour off most of the grease. Add beans and 2 T of seasoning. Toward the end of cooking (30min to 1hr form end) add more seasoning to taste. Cover and keep warm in smoker until time to serve. If using mesquite a long smoke time can make things bitter therefore as little as two hours may suffice. For oak, plan on smoking longer. Some say that mesquite is too harsh too smoke with. I say they need to learn how to cook. I found beer makes you a much better cook. Either the cook drinks enough they do not care no one likes the food, or better yet the guests drink so much they will eat anything. The later can be more expensive but you will waste less food. 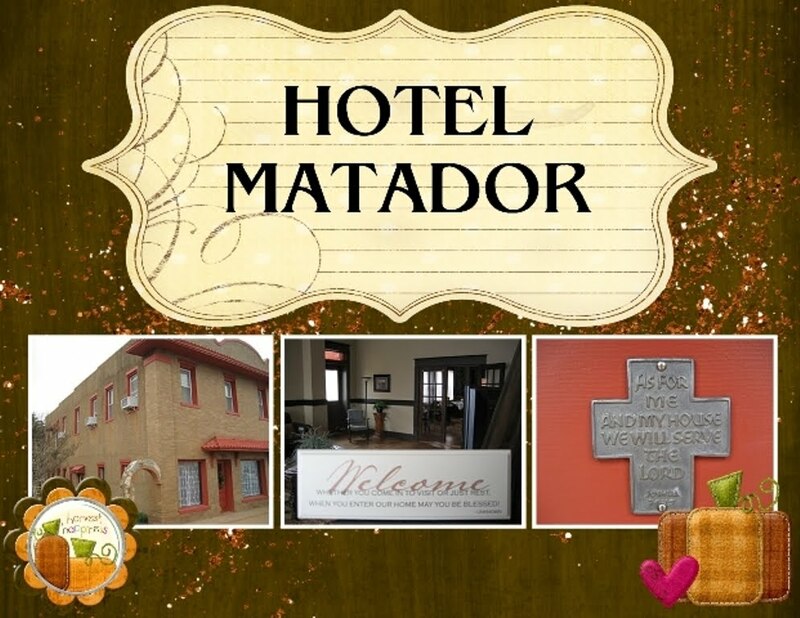 http://www.hotelmatador.com/ or you may call at 806-347-2939.